Resident Evil 5, known in Japan as Biohazard 5 (バイオハザード5, Baiohazādo Faibu? ), is the newest installment in the Resident Evil survival horror series, which is for PlayStation 3 and Xbox 360. It was developed and published by Capcom. Capcom officially announced Resident Evil 5 on July 20, 2005. It was released on March 5, 2009 in Japan, and March 13 in North America and Europe. 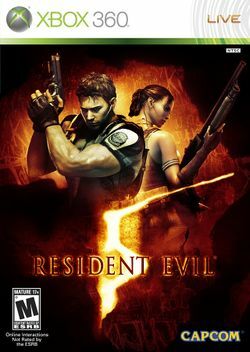 On September 15, 2009, Resident Evil 5 (PC Digital Download) was released for Windows. This page was last edited on 30 May 2016, at 13:45. This page has been accessed 28,918 times.